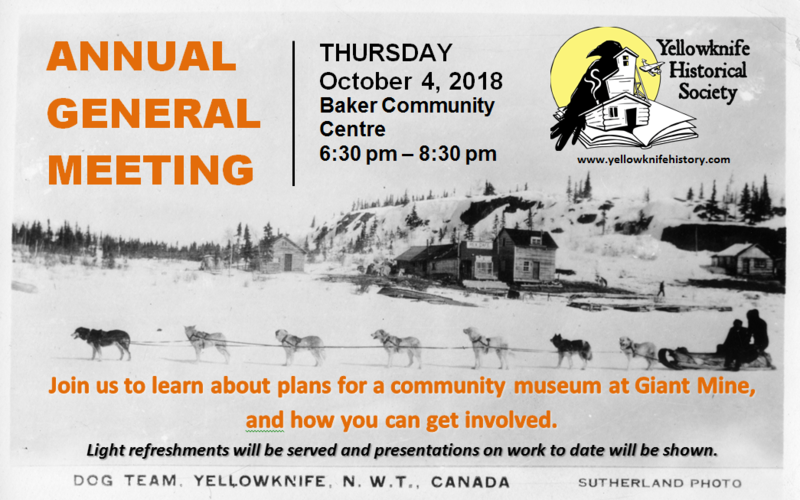 We invite members and the general public to the Annual General Meeting of the Yellowknife Historical Society, to be held on October 4, 2018 from 6:30 to 8:30 at the Baker’s Centre. An update on the museum construction will be provided plus a slideshow of the work in progress this summer to complete renovations to the historic Giant Mine recreation hall. 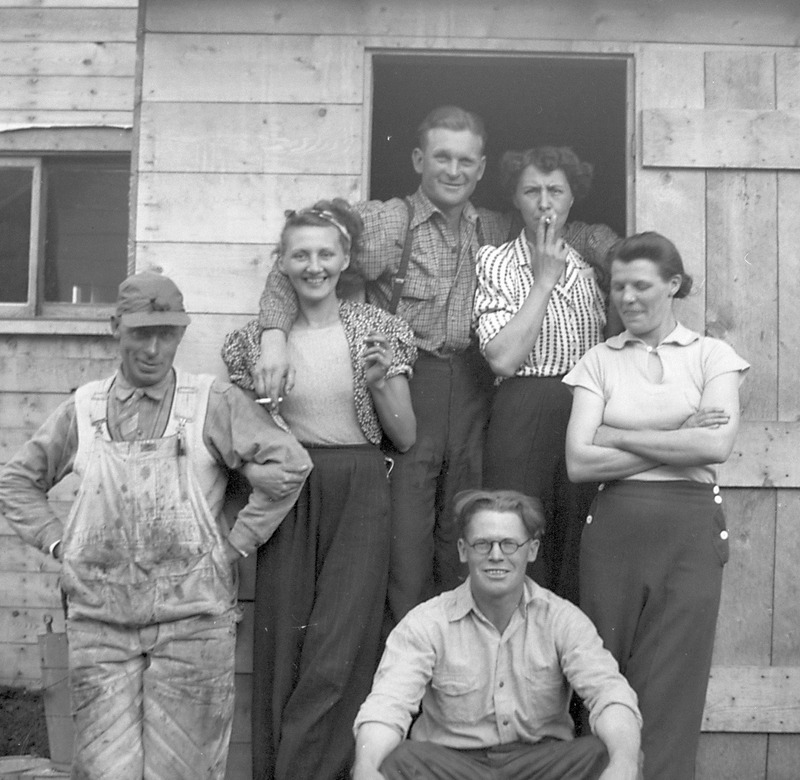 This is your chance to get involved in our group, a very active heritage organization preserving the rich history of Yellowknife. We welcome new members and people who want to be involved on the Board of Directors! The barge arrived this year at 5:06 on June 16, 2018 (time guessed correctly by Wayne Guy and Simon Hache) and a grand party was had by all. Thanks to all the people that bought tickets and supported the event through sponsorship and volunteer hours. Baby Brian’s Country Club, and The Andrea Bettger Band provided the live entertainment, and Tony Whitford orated a history of the barges in the north. Our profit this year was $18,400, very similar to last year’s income of $17,900. This was the tenth annual event and we hope there will be many more in the future as this is our main fundraising and publicity event. Two work parties were held this summer. The first was targeted at building new storage shelves in our warehouse building so that our archival materials could be better managed. The second work party was focused on the outdoor display area, where significant vegetation was cut and cleared, and five bags of trash were collected from around the boat launch parking lot. The area is looking much cleaner now! Thanks to the following members for helping out: Walt Humphries, Helmut Epp, Diane Baldwin, David Kellet, Dave Finch, Ryan Silke, Marie Adams, Ken Hall, Steve Matthews, and Pamela Taylor. 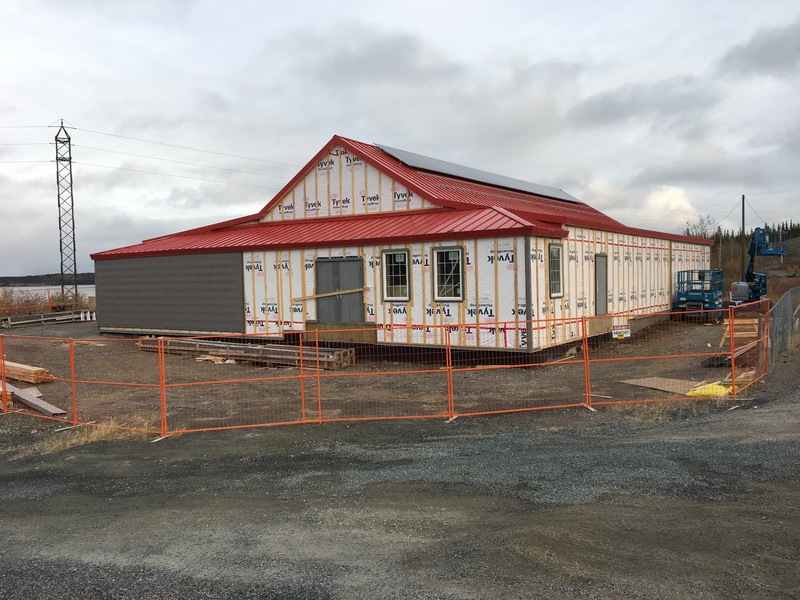 Construction is wrapping up for the season at the Giant Mine recreation hall building, the proposed museum exhibit facility. During July to September 2018, Paul Brothers Nextreme Inc. completed a $185,000 contract to remove asbestos, repair exterior walls, and install new windows, doors and siding. The results look fantastic! Eddie Paul and his crew are to be commended for a job well done. The project was supervised by Society executive Walt Humphries, Helmut Epp, Ryan Silke and coordinator Tracey Bryant. This is a major step forward as repair of the exterior has been a significant holdup in moving forward with the museum construction. Funding for the project was provided in part by the Government of the Northwest Territories, Industry Tourism and Investment. The next phase of renovations will require a significant investment. We have applied to the Federal Government’s ‘Canadian Northern Economic Development Agency’ (CANNOR) for $1.1 million dollars to complete all necessary construction, including: insulation, electrical, mechanical, parking lot, landscaping, fire suppression, security, and displays. As we may not receive this entire amount, we are canvassing local businesses to help raise any additional funds. A ‘Business Plan’ is available for download at our website that outlines the project in more detail.